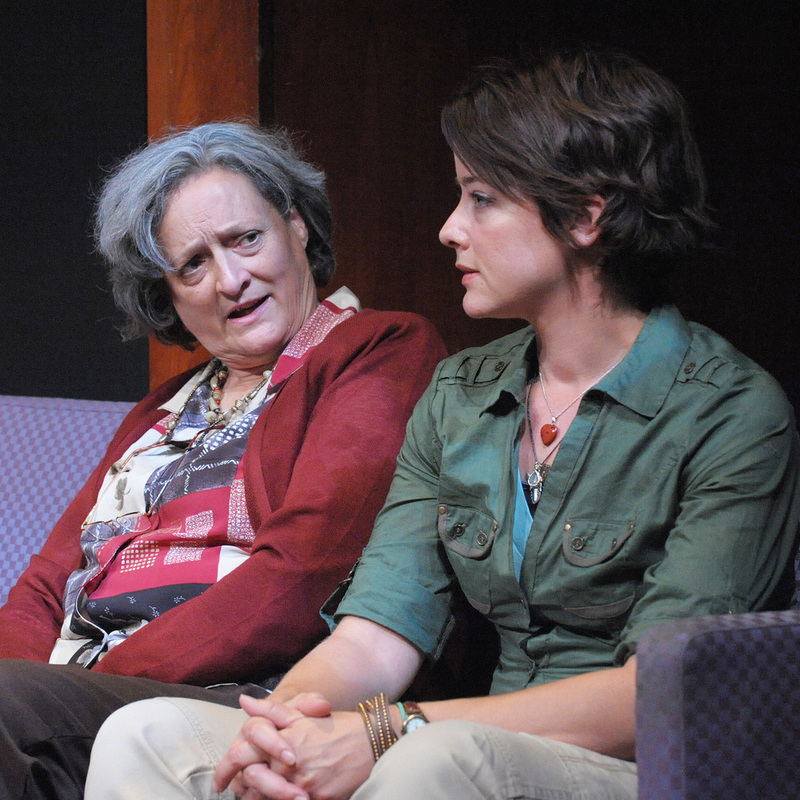 Nancy Robinette & Megan Anderson in After the Revolution. Photo: Stan Barouh/Theater J.
I was a bigger fan of Studio Theatre's production of Amy Herzog's 4,000 Miles earlier this year than I am of Theater J's new staging of its companion play, After the Revolution. I can't fault director Eleanor Holdridge's staging of the latter for that; I just connected more strongly to the material in 4,000 Miles. Getting to see two marvelous actors, Tanya Hicken and Nancy Robinette, offer their takes on the same character -- a close approximation of Herzog's grandmother -- in 4,000 Miles and Revolution, respectively, within a half-year of each other was fun. I review After the Revolution in today's Washington City Paper, along with Woolly Mammoth's production of Lisa D'Amour's Detroit, which is a nice showcase for some of Woolly's favorite actors -- and mine, too. When Iron Man Ate Superman's Lunch: Summer movies, autopsied.